Once again, we end the year in our own personal style – no champagne, dresses, fancy parties or overpriced venues – we roll in a different fashion. 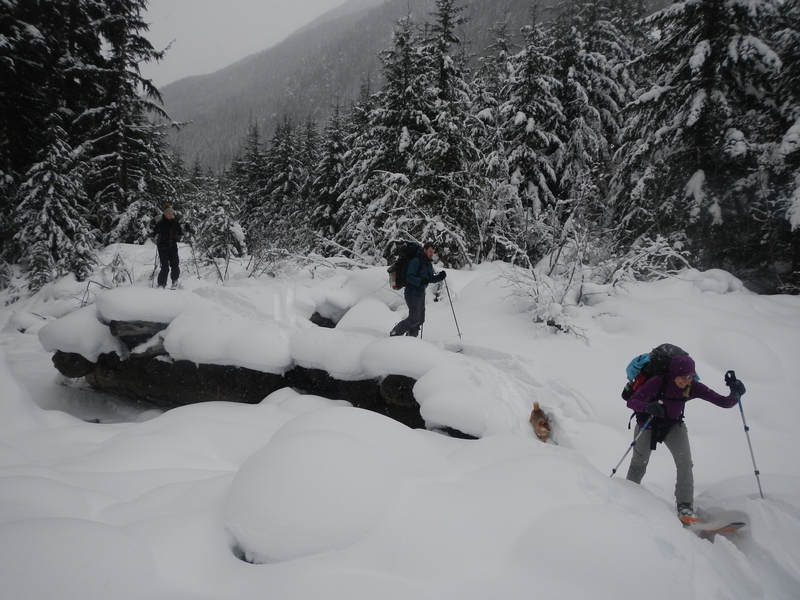 We trek 15 Kms deep in the Coastal Mountains backcountry with a group size of 6, along with Sitka our dog. 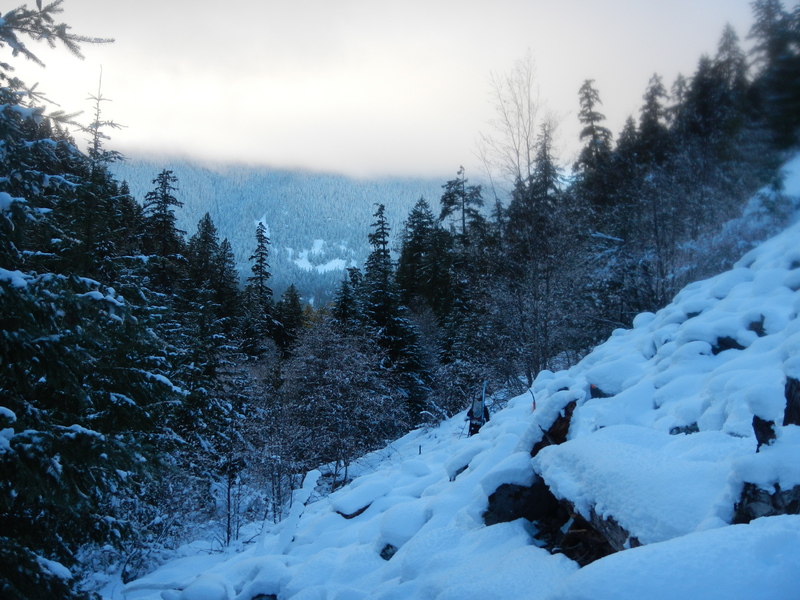 We drive to Whistler Christmas Day evening, set up our “home” and blast the heat. It feels great to have found some “real” winter, but man Hobo the van is not quite equipped for this cold! Hobo is more of an island vehicle – Oceanside by the surf, not so much snowbank side on a forest service road. But no worries. 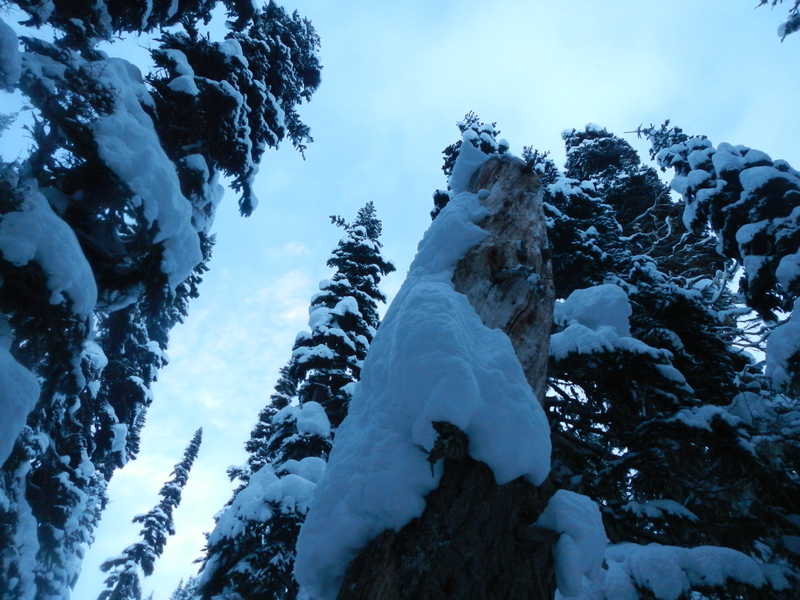 Boxing Day morning finds us in Whistler, meeting up with the rest of the crew – Kyle, Justin, JM and Kim ( finally another female to ski with!). We convoy our way up past Pemberton (man I love that town!) and beyond. 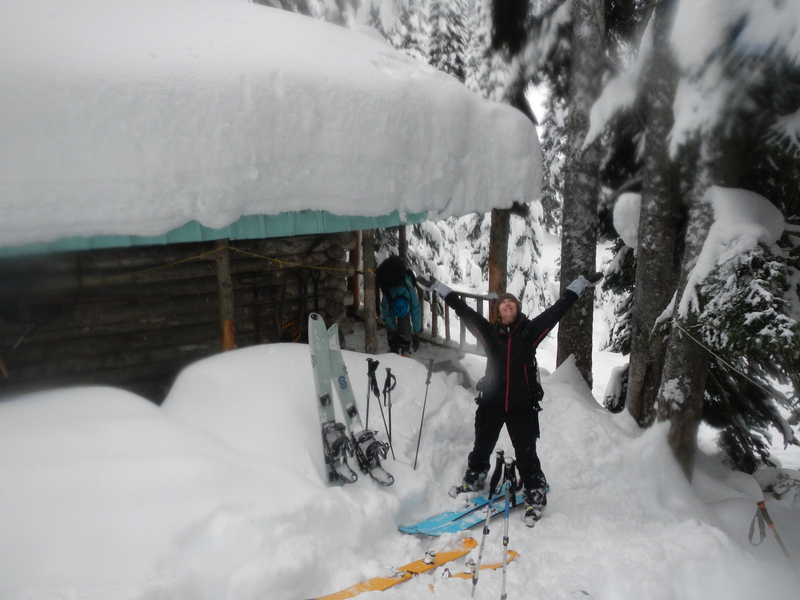 Our backcountry cabin destination will remain secret in keeping with the hush-hush tradition of cabin whereabouts. Let’s just say this excursion is further and more challenging than any backcountry trip I’ve been on! Not for the faint of heart! Once again, Hobo the van shows his/her true colours of islandness, and refuses to make it up the iciest road I have ever seen. Hobo slides, Hobo drifts, and eventually Hobo spins. That’s as far as she makes it folks! So we jump in the other vehicle wit the rest of the crew and keep trucking. 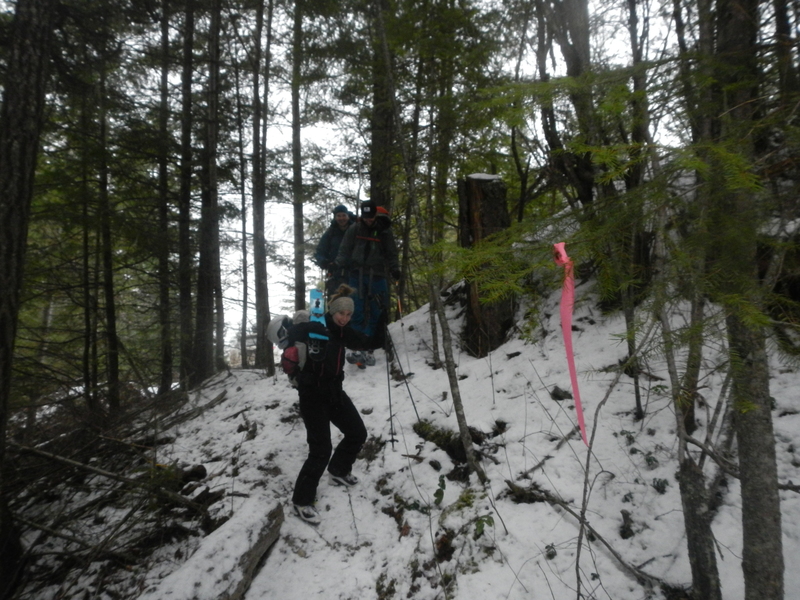 We make it to the trailhead at 10 am, suit up, and start the trek into the wilderness. Spirits are high, smiles are bright, and bodies are fresh and keen to move. We make good time for the first part of the day, but as light fades, we find ourselves confused by the directions. ” Not all those who wander are lost”…but we were. We head up the wrong side of a river, and find ourselves cliffed out. No way down. So we turn around, and try another enterance. Same deal. And so on and so forth. Our bodies are done. Our spirits are not so high. We gotta make it to that cabin! Wood stove! Dry beds! Shelter! Upon our arrival, we spark up the wood-stove and get to eating. 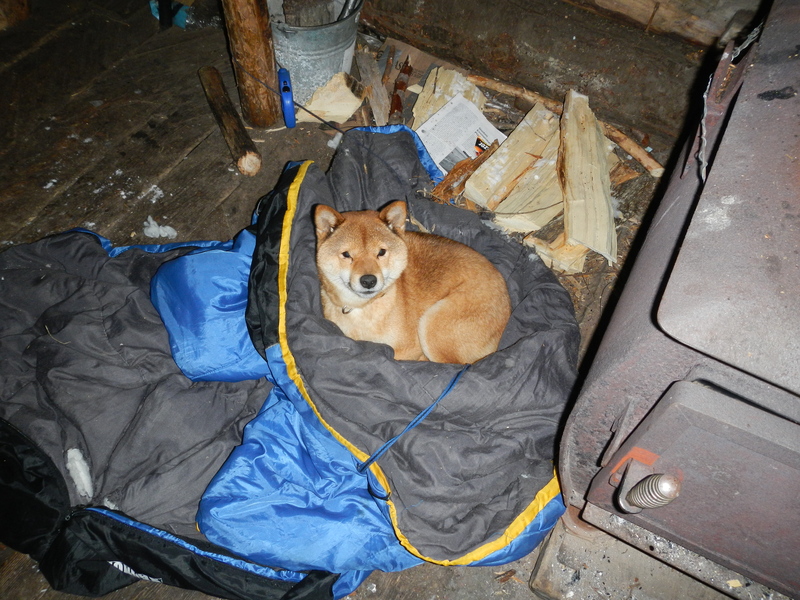 Ther isn’t much wood, so we conserve it, with a rather chilly first night. Thank goodness for down sleeping bags! We have the cabin all to ourselves. 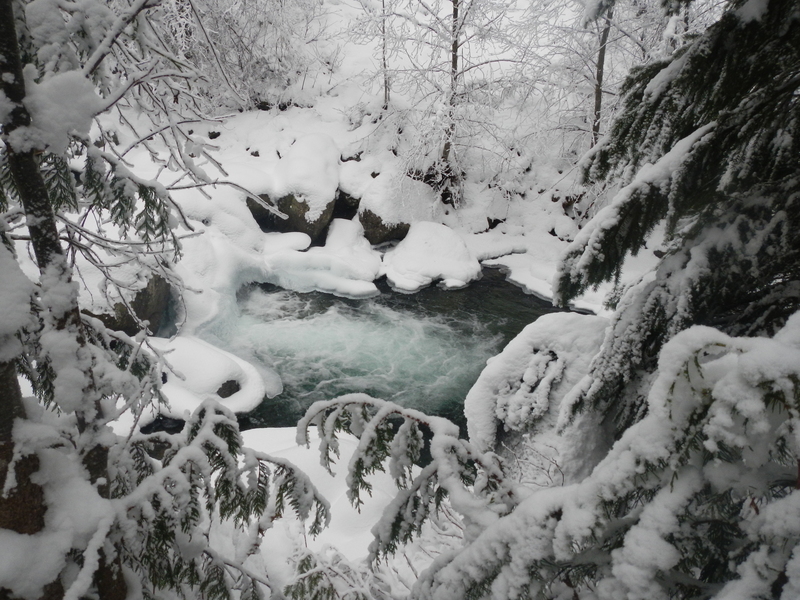 We wake to lots of new snow, and no foreseeable end to snowfall. 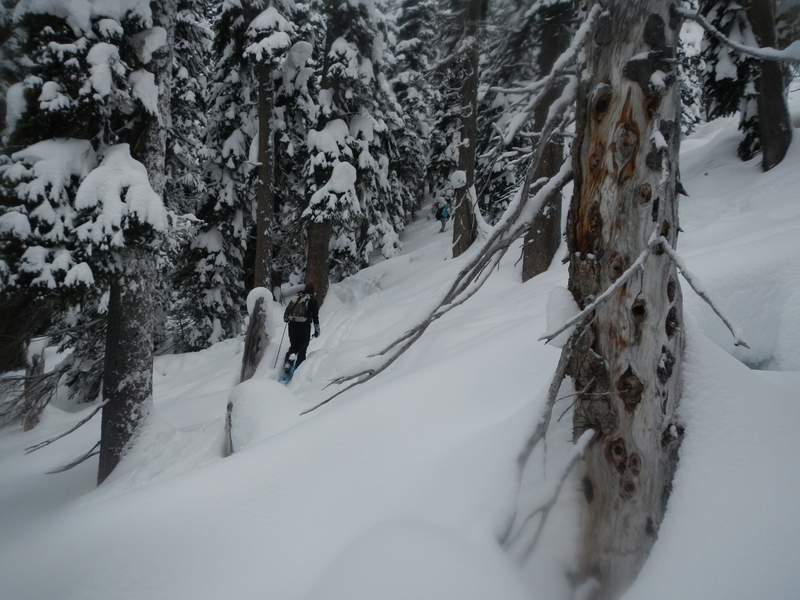 Avalanche danger remains fairly considerable in the alpine, so we stick below the tree line. 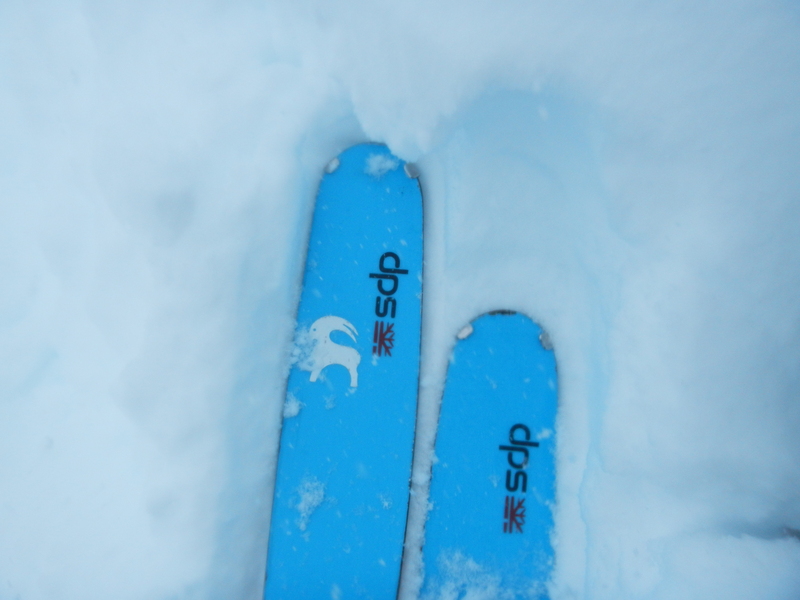 Our bodies are beat , so we take it easy, and only tour/ski 500 metres of vertical. 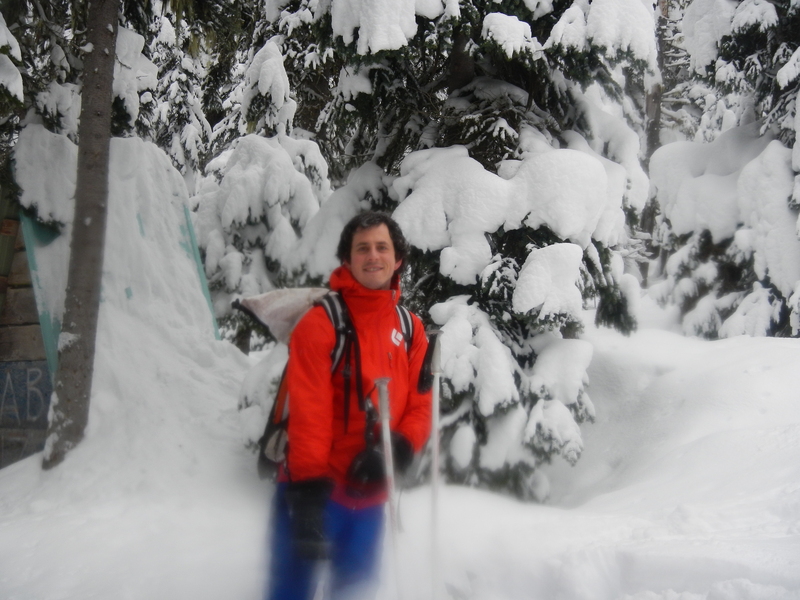 After skiing, we get onto important matters – gathering more firewood! We pick away at a bit of deadfall, while the boys have their hearts set on downing a very large dead tree beside the outhouse. Visions of the tree crashing into the toilet, and poop flying everywhere…but that doesn’t stop them! They saw, and hack, and saw, and hack for hours, while the girls do more “important” things like keep the fire stoked – hey, somebody’s gotta do it! The tree is massive, and the task is tedious, so the boys call it done for the day and come inside for dinner. We eat like gluttons, drink wine (thanks Kim for lugging that in!) and play a very rowdy game of pass the pigs. 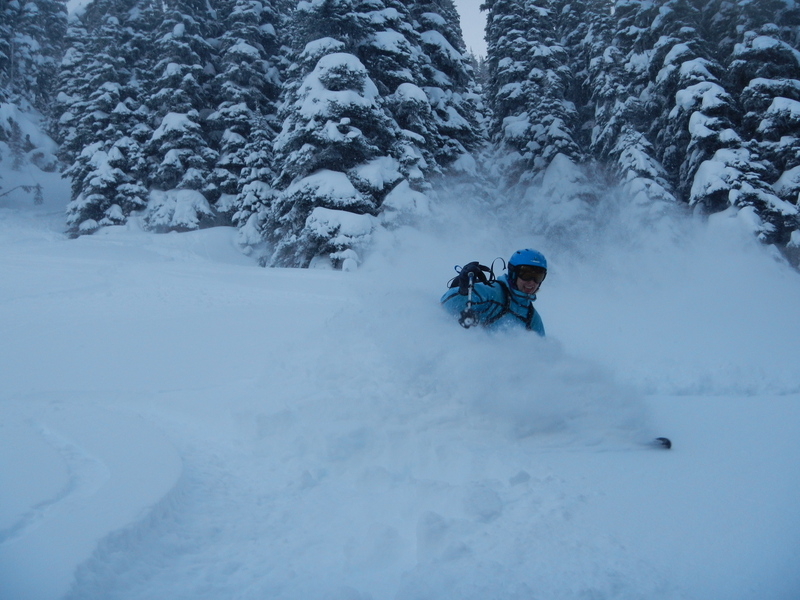 The following day brings even more snow! Like always, we assess the risk, discuss our options, and respect each other’s hesitations. 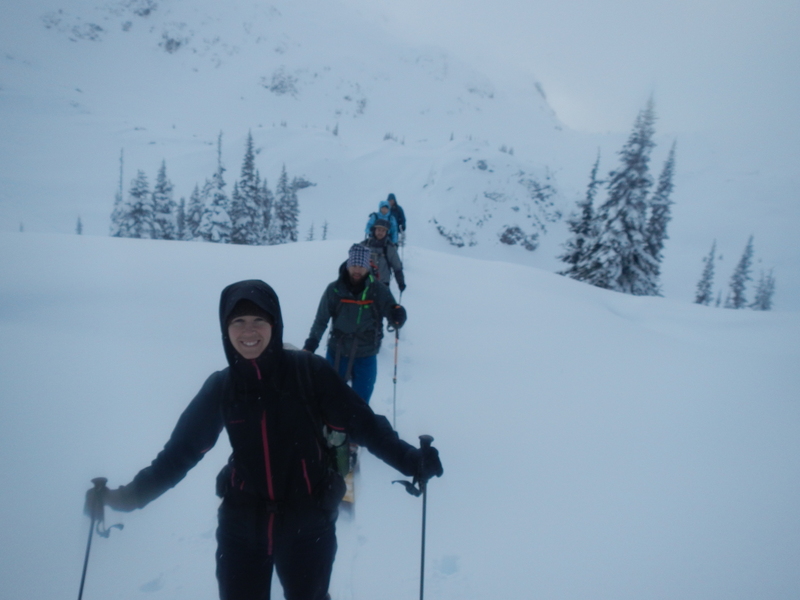 The mountains are fun, but they can often be unpredictable and dangerous. 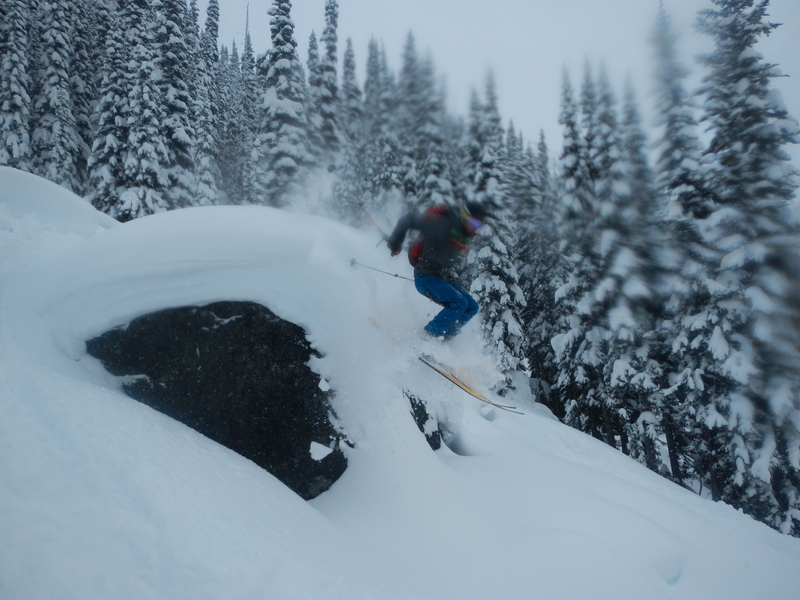 We do some friendly, low angle tree runs complete with pillowy jumps. There are 2 more groups at the cabin when we get back, with a total occupancy number of 11. 2 of them set up a tent outside to sleep. The cabin was super packed, but that just adds to the commradery. What’s the harm in another handful of stinky, sweaty, people? All a part of the fun! The boys get back to work on the tree, with a successful timber roughly an hour in. Wood glorious wood! We get to splitting the log (which I found myself completely fascinated with and giddy about, and joined in a bit) and stacking the wood high within the cabin. Tonight we don’t hold back on the wood stove, and we get that thing ripping! Everyone is toasty and dry. What more could one want? 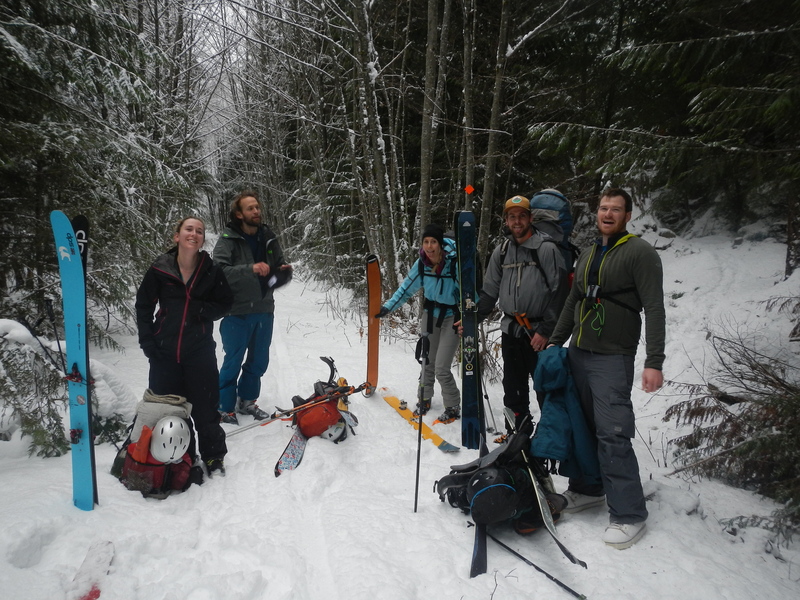 The following morning marks the splitting of our crew, with our 4 teammates heading back to civilization. They start heading down the valley in the morning, with mention of hamburgers and beer. I’m mildly jealous, but just mildly. Dan and I have one more day before we head out, and well ok forward to spending the day together. So. Much. Snow. HONESTLY. It has not stopped snowing this whole time! 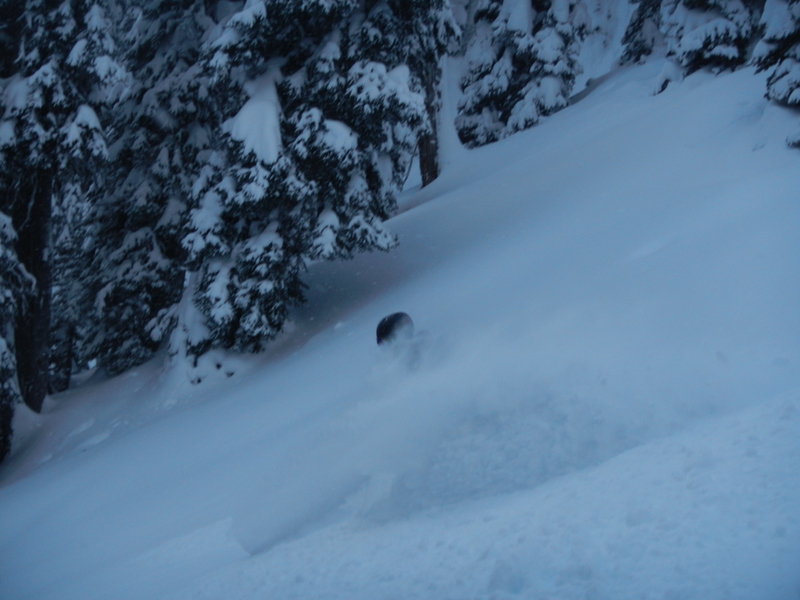 Don’t get me wrong, I love powderrific skiing, but this was borderline too much! 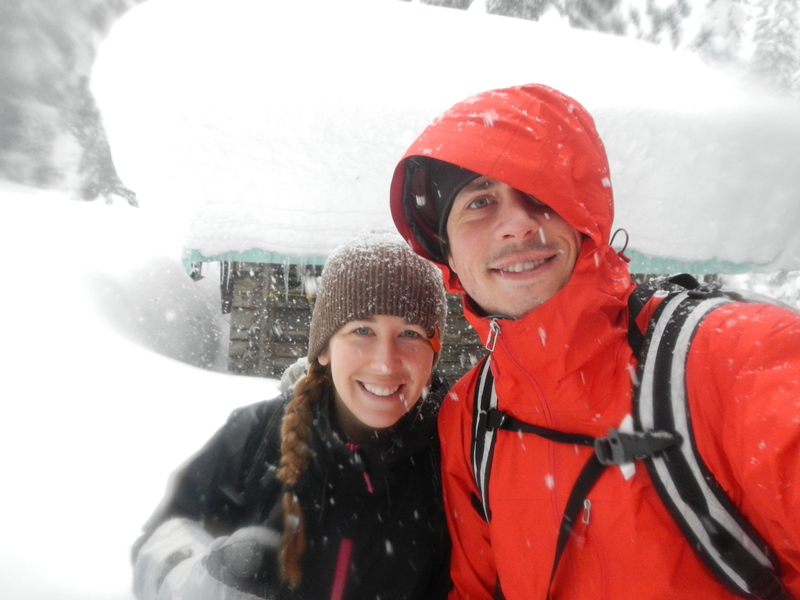 Too much snow – is that sacrilege? I think so. Ok, I take it back! 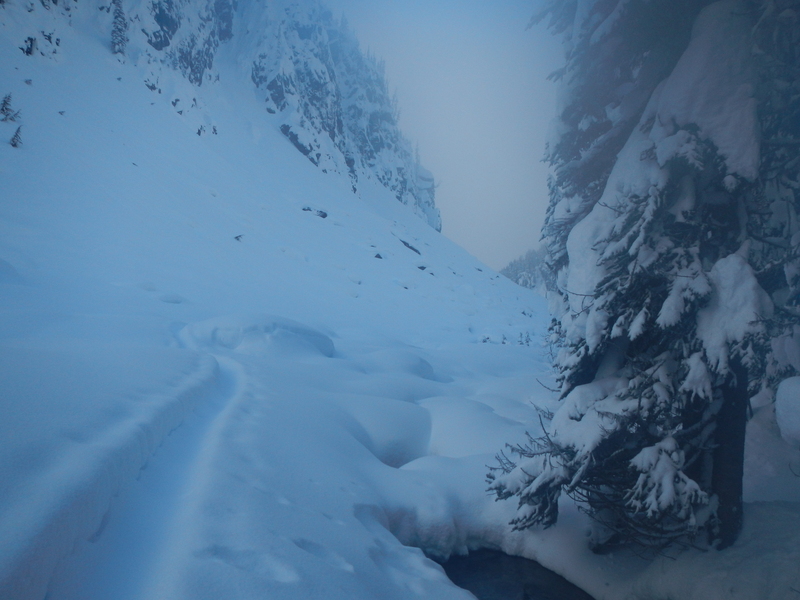 We wander around, looking for safe spots to ski, backtracking when we find ourselves somewhere ominous. No big lines this trip I guess, but that’s ok. The point is to explore, wander, and enjoy the great outdoors. Safety first right? 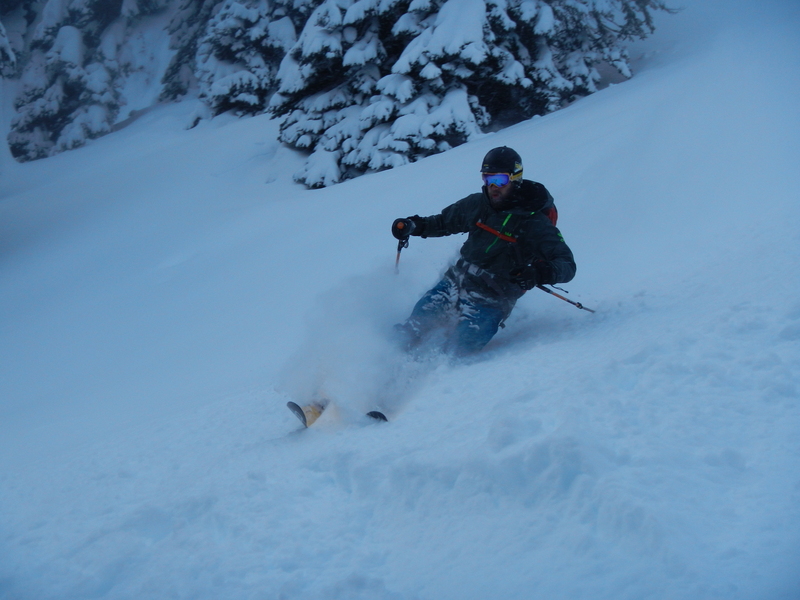 Dan breaks the skin trail, with more snow than I think I have ever seen in my life. What a workout! Dan and I head out the following morning. 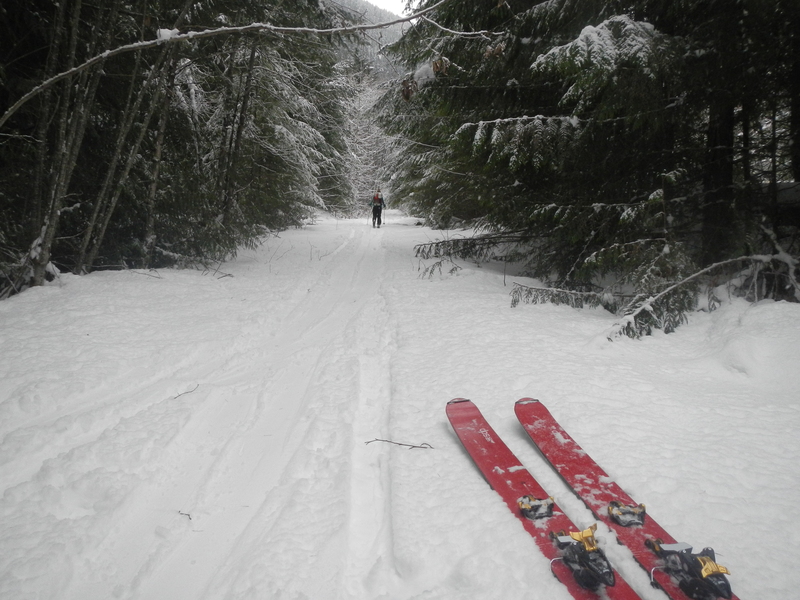 Sitka is raring for some exercise, and runs full rip behind us on the ski trail! 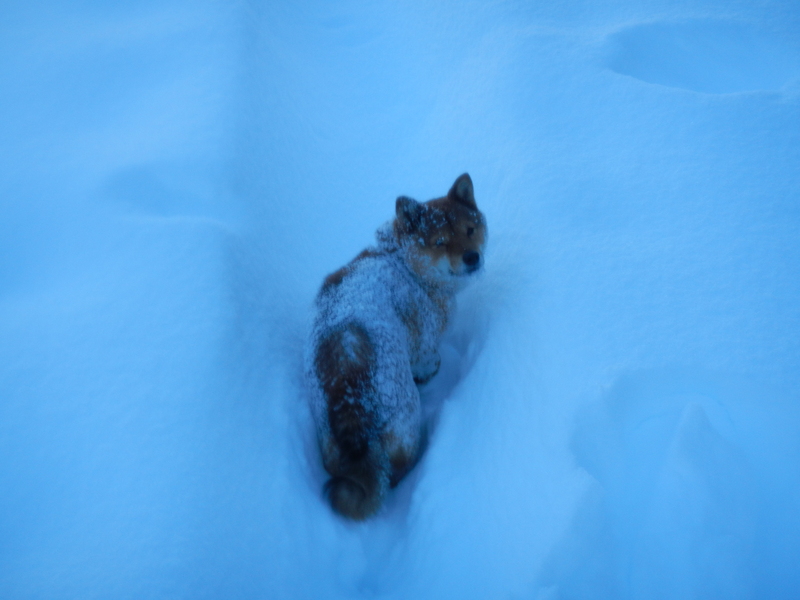 With the snow being so deep, she’s confined to staying on our ski tacks,which is a great way to keep her in control. I was blown away with how good she did off leash, and how hard she ran! What a champ. We made it to Hobo in 4.5 hours. What an adventure! Happ New Year – many the year ahead be filled with adventurous days, filled with fun and packed with time outside! Oh my… what you young people do.. Beautiful photos and looks like fun and happy that safety is very much a consideration.. We are into a new year and more adventures… Happy New Year Tara!